I used the Bold and Brushy Stamp Set AND the Bold and Brushy Uppercase Stamp Set from Concord and 9th to create the sentiment. 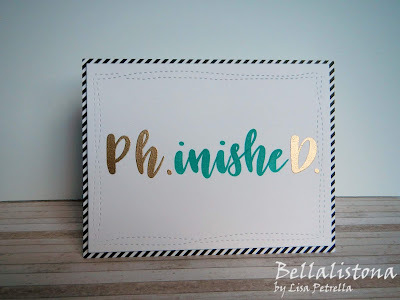 I embossed the Ph.D. in gold to jazz it up a bit. After I stamped out the sentiment, I die-cut the panel with Avery Elle's Wonky Stitches die. To finish it off, I popped the focal panel up onto a card base covered with striped patterned paper. I hope you like my card for today! I'll be entering this into the most recent Simon Says Stamp Wednesday Challenge: Use A Die And/Or Punch. This is perfect the shimmer is so pretty, she's going to love it!! Congrats to your neighbor's daughter on her accomplishment! My brother's youngest daughter just received her PHD in May so I know the work this young lady has put into it!! This is a great card and I'm sure she will appreciate it. Good for her! 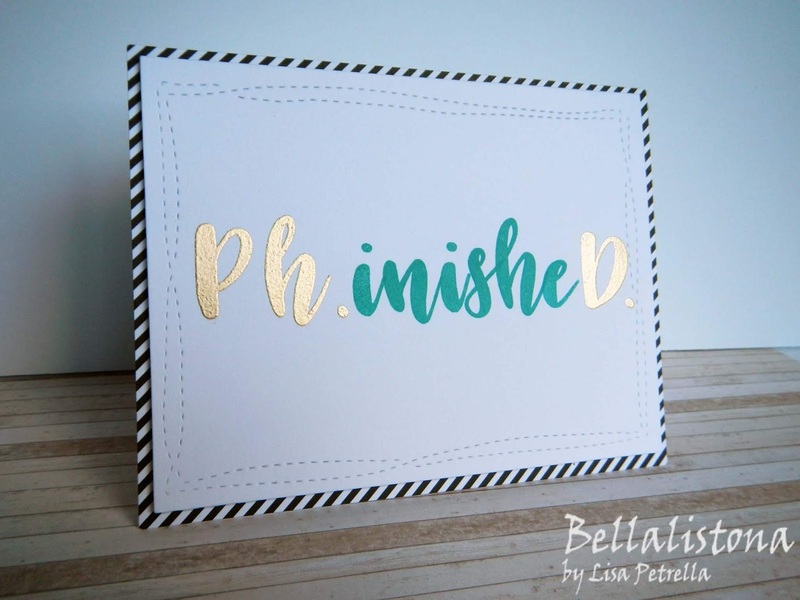 Great idea to emphasize the PH and D in gold. I LOVE this. So creative and the gold PH and D looks awesome! Thank you so much for joining us at Simon Says Stamp Wednesday Challenge. Good Luck!